Iconic rock band STRYPER will celebrate the 30th anniversary of its multi-platinum album "To Hell With The Devil" this fall with a world tour, featuring all four original members and complete with the original yellow-and-black costumes. Released by Enigma Records on October 24, 1986, the Grammy-nominated "To Hell With The Devil" is the band's third studio album and the first Christian metal album to achieve platinum status. Throughout 1987, the music videos for "Free" and "Honestly" ranked #1 on MTV's list of most requested videos, and the video for "Calling On You" reached #2. STRYPER was the first band to ever have two songs in MTV's Top 10 simultaneously. "'To Hell With The Devil' literally changed our lives," says STRYPER frontman Michael Sweet. "During that tour, we went from playing theaters and mid-sized clubs to arenas, all in a very short amount of time. We never could have predicted the wild popularity of those songs and videos — especially in the mainstream market." Regarding the "To Hell With The Devil" songwriting sessions, Sweet told Guitar World magazine: "We always strive to outdo ourselves, so when we made 'To Hell With The Devil', we wanted to make it better than 'Soldiers Under Command'. We just went in and made a record, and it just so happens that it wound up being our most successful and most beloved. God really blessed that album." 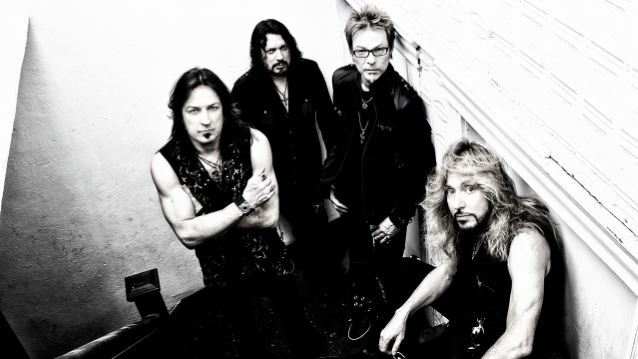 Added STRYPER guitarist Oz Fox: "I think it came at the right time, too. Back then, MTV was doing the whole 'Dial MTV' thing and we also had video budgets. The music definitely fit in with what was going on but it was also different enough to have its own niche." Sweet also talked about the controversy over the album's original cover art. He said: "There were some Christian bookstores and carriers that wanted to carry the album, but they had a problem with the cover showing angels and the pentagram being ripped from Satan. They thought it was too controversial, and because of them threatening to not carry it, we decided to change it to a black cover. It actually wound up making it even more controversial because now the album is really rare." 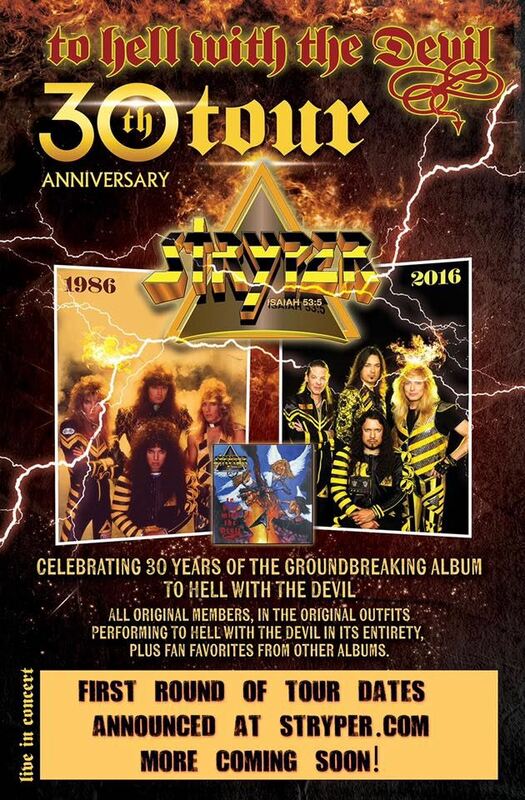 William Morris Endeavor (WME) has partnered with STRYPER to book this fall's tour.